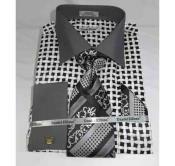 Working professionals and business executives those who wear formal tuxedos and suits regularly should complement them with collared shirts, stylish leather shoes, bow ties or long ties and other rich accessories. 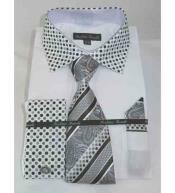 Men will look elite when they wear cotton or polyester mix branded shirts for the wedding ceremonies or other formal gatherings. 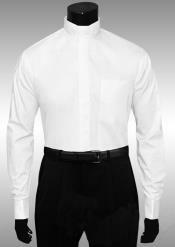 Visitors should wear branded white french cuff dress shirt if they are readying for business meets, dinner parties, wedding ceremonies or other important formal events. 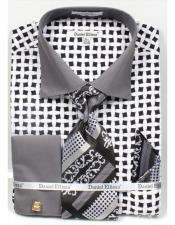 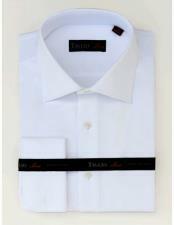 Try dress shirt with white collar and cuffs which is made from polyester and cotton mix and sport a rich look. 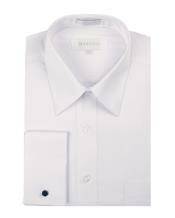 Partygoers and businessmen can wear varieties of cuff links when they use dress shirts which come with cuffs. 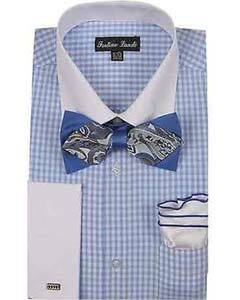 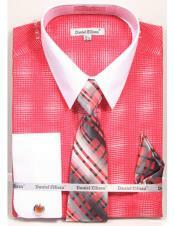 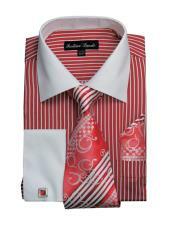 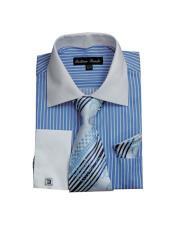 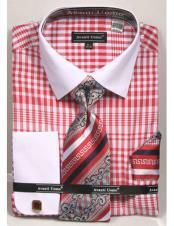 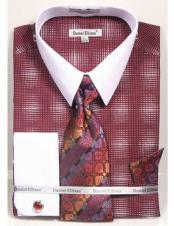 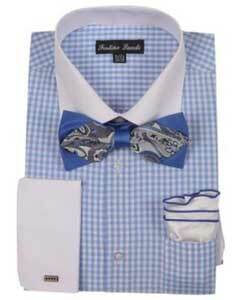 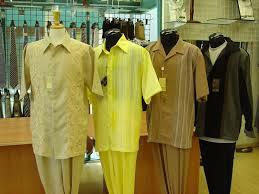 Some of the trendy colors which come under dress shirt category are blue, white, herringbone, multi color and red. 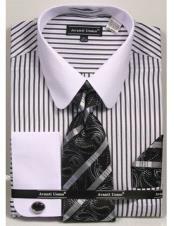 Interviewers, employers and business executives should wear mens white french cuff dress shirts before starting the interview process. 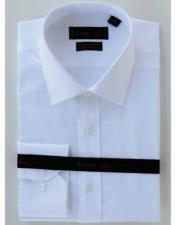 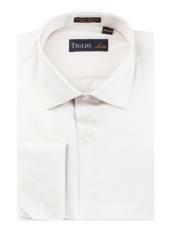 It is worth to note that men's double cuff white shirt is popular in France and other European countries. 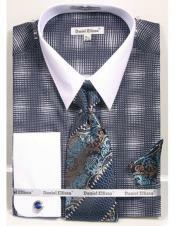 Citizens living in other countries are also showcasing interest to wear these spectacular shirts before attending stage shows, formal meetings and wedding ceremonies. 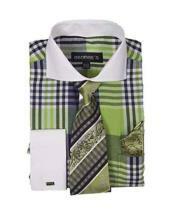 Two-toned polyester mix French shirts are also gaining popularity and fashion dudes are showing interest to purchase these types of colorful cuff shirts. 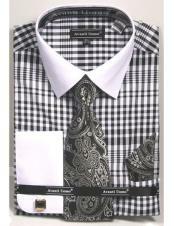 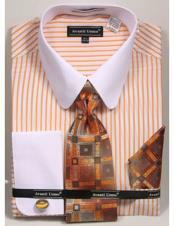 These exceptional shirts which stand aloft in quality and texture will transform the looks of the wearer instantly. 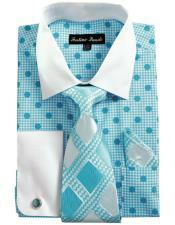 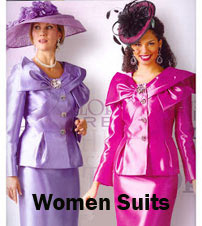 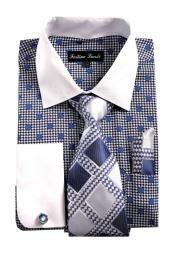 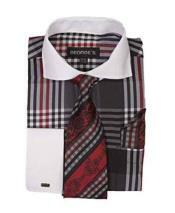 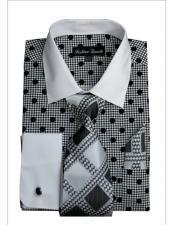 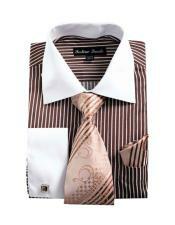 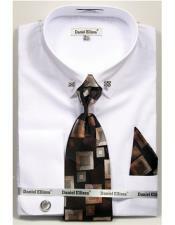 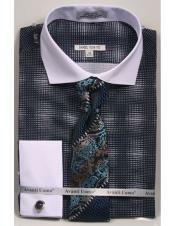 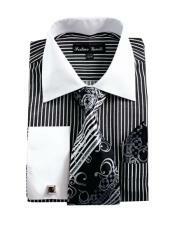 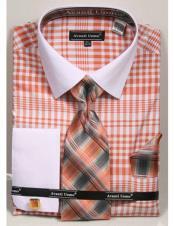 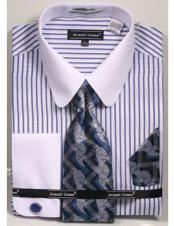 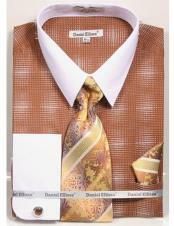 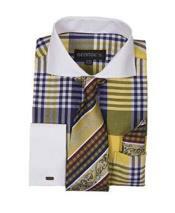 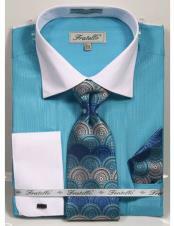 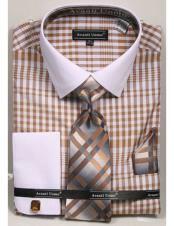 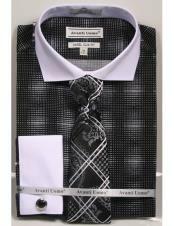 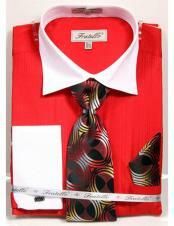 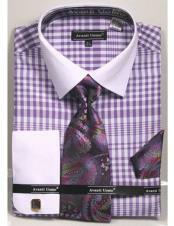 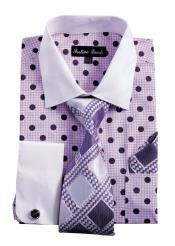 Ultramodern men will look smart and rich when they wear French cuff dress shirts for various occasions. 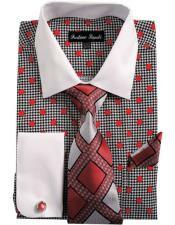 Individuals that are planning to celebrate the upcoming Christmas festival in a mind blowing manner should decide to wear these types of luxury cuff shirts and complement them with best pants, shoes and accessories. 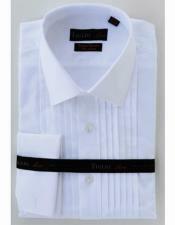 Men can also wear French cuff shirts every day and flaunt with style. 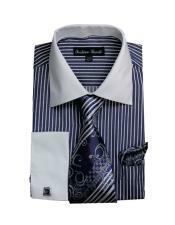 Legal attorneys, business consultants, real estate executives and big business baron should wear branded long sleeve French cuff shirts under quality suits and match them with best cuff links, leather shoes, bow ties and watches. 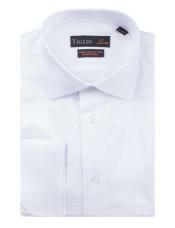 Visitors will get an insight about French cuff shirts when they watch style videos and explore blogs that are related to these types of branded shirts. 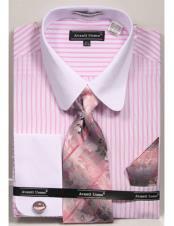 Tall and smart guys can accentuate their looks and get that upscale look when they wear pink French cuff shirts and wear black suits and pants. 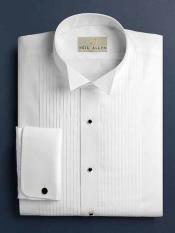 Men should remove the luxury cuff links and other rich accessories before entering into party rooms. 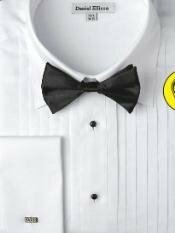 Wear nice dinner jackets along with French cuff shirts and complement them with jeans, sports shoes and other accessories. 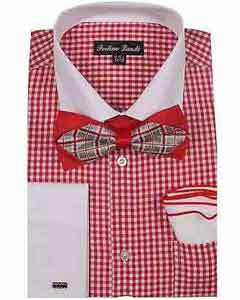 Individuals can wear French shirts for all the occasions, events and functions and show their presence in a spectacular manner. 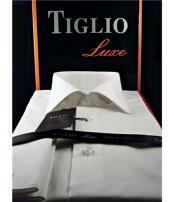 Models, VIPs, statesmen, celebrities and elite professionals showcase interest to wear French shirts during formal gatherings and events. 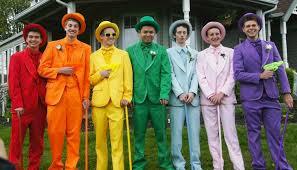 Teens can choose some of the vibrant colors which are popular in the society and cover their shirts with quality suits and ties. 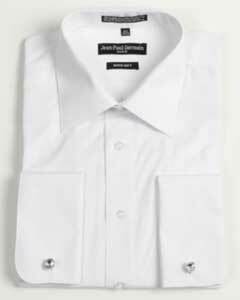 College goers and student community should wear French cuff shirts during anniversaries, farewell parties and other formal functions.